MediMiss brain and spinal cord cancer brain cancer brain cancer cell brain cancer symptoms Cancer cell phone radiation cell phone safety cell phones and kids safe cell phones Cell Phones and Brain Cancer: Is There a Link? While the answers are still coming in, there are things we can do to help protect ourselves. These tips come from a variety of sources, including a brain scientist who has recovered from brain cancer (Dr. David Servan-Schreiber - if you have not yet read his book, Anticancer, A New Way of Life go get it! It's an excellent read for anyone wishing to prevent cancer, or already dealing with the health challenges cancer presents). Simultaneously, we are all terrified of cancer but somehow in denial that it will ever touch us personally. It's time we look clearly at the rampart cancer rates of the last decade and take as many steps as we can personally to protect our health. 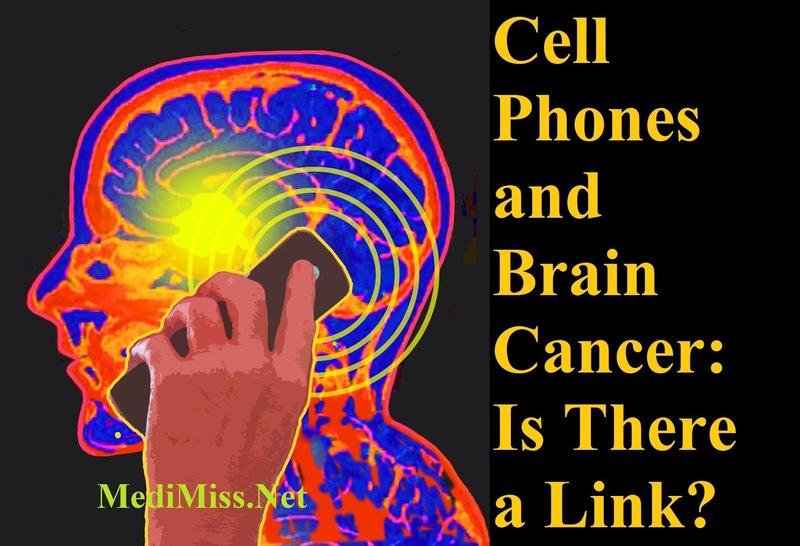 When it comes to this health issue, we are all exposed to radiation in varying degrees, even those of us who do not have a cell phone. In North America, unless you live in the remote wilds and are completely off the grid, you're likely affected, even if from cell towers and criss-crossing signals in the air. Experts are telling us that cordless phones pose similar risks, and it s only as more studies come to completion that the alarming statistics are becoming available. Nonetheless, mobile phones and smart phones are here to stay, so let's do what we can given that reality. For one thing, most mobile phone manufacturers now offer a protection rating on their phones, as consumers become increasingly aware and concerned. Ask your provider about your specific phone and be sure to check the rating of any phone you buy. Other tips include using a headset rather than putting the phone directly to your ear when talking, and leaving the phone away from your wear until someone answers; according to experts the signal is stronger when the phone is ringing, before it connects. The signal is also stronger when you are between cell towers, so if the connection is bad hang up and try later when it's safer. For children and teens with developing brains, limit cell phone use and if anything, encourage texting over speaking (who ever thought anyone would say that? ).